BIS Wins Finals!!! Basketball Champions!!! BIS beats EAB in the finals and captures 1st place!!! Certainly the toughest and best game of the 2014 season. The Eagles showed a lot of heart and passion as they played four quarters or INTENSE basketball! The scored remained close for the entire game, but in the very end the Eagles prevailed. BIS wins 40 to 35. We are the CHAMPIONS!!! We are #1!! Congratulations Sohta, Kazune, Goro, Roen, Kwame, Lucca, Wilko, Andrew, Adnan, Linus and Alex for an amazing season! 8 wins, 0 losses, undefeated champions! Last Basketball Game of the Season. Should be an awesome game!!! 12/3, HS boys basketball semi-finals of the BSL at EDN. 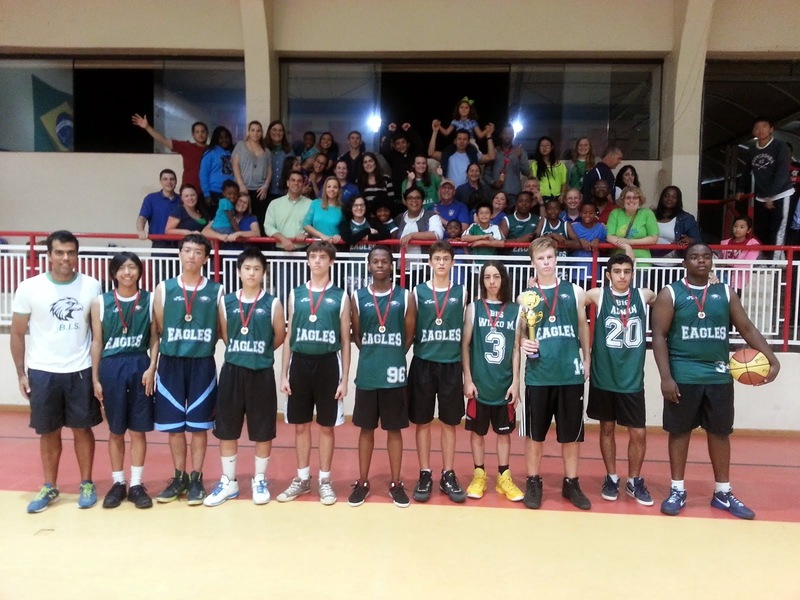 12/5, HS boys basketball Finals (or 3rd place match) at EAB. We are proud of our student-athletes! Check out these amazing accomplishments from the past two weeks! HS and JH students finish in third place in track meet! Our students did an awesome job in all the events! Here are some of the highlights. Priscila first place in the shot put. Her best throw was 6.95m! Linus second place in the shot put. His best throw was 9.27m! Letsie third place in the long jump. His best jump was 5.27m! He also qualified for the 100m finals. Girls 4x 100m relay in third place (Priscila, Jiayi, Joannah, Cricelia). Boys 4x 100m relay in 4th place (Letsie, Alex, Kwame, Goro). BIS scored a total of 137 points. Here is the list of all the athletes that contributed to the BIS points. Haruki, Jiayi, Cricelia, Priscila, Duda, Gabriela, Linus, Kazune, Letsie, Kwame, Goro, Sohta, Letsie, Roen, Alex, Joannah, Natalie, Alzahara, Abbey. Elementary and Secondary students run the 1.2km Fun Run! Great job to all the students who completed this race in the rain!!! Nicole, Koharu, Noah, Elijah, Caleb, Negash, Goro, Sohta, Joannah, Sofia, Saturnino, Carlos, Ignacio, Maria Luiza, Fernanda, Tokiko. Congratulations to Gentra, Martha, Heloisa, Jiayi, Cricelia, Abbey, Ana, Duda, Priscila, Natalie, Gabriela, Averi for a great job in the basketball against Marista! Elementary soccer team captures first home win of the season. Our Elementary Soccer Teams played four great soccer games in total against School of Nations in the past two weeks. The highlight was the awesome home win last friday (6 to 3) against the Cougars. 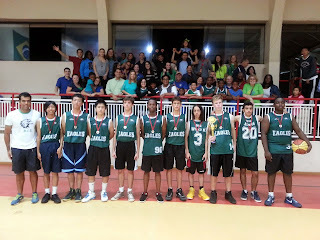 Congratulations to Phillip, Mulalo, Ignacio, Denzel, Lance, Isaac, Saturnino*, Carlos*, Caleb*, Elijah*, João Marcos, Nicky, Vanessa, Kayleigh, Pedro, Augustino, Noah, Negash, Clara, Fernanda, Davi, Gabriel, Bonga, André and Lucas. (* means players who scored goals for the Eagles). HS boys basketball team undefeated (6-0) in 1st place in the Brasilia Sports League (BSL). Our HS boys are on fire and the varsity team has not lost a game yet this year! Well done Andrew, Wilko, Goro, Kwame, Lucca, Linus, Roen, Kazune, Alex and Sohta. The Eagles will play in the semi-finals on 12/3 at EDN. If we win that game we'll be in the finals, which will be on Friday 12/5 or Saturday 12/6. Stay in touch and come watch the Eagles battle for the championship! Want to know more of what's happening with the Eagles Athletics? Sign up to follow us online. 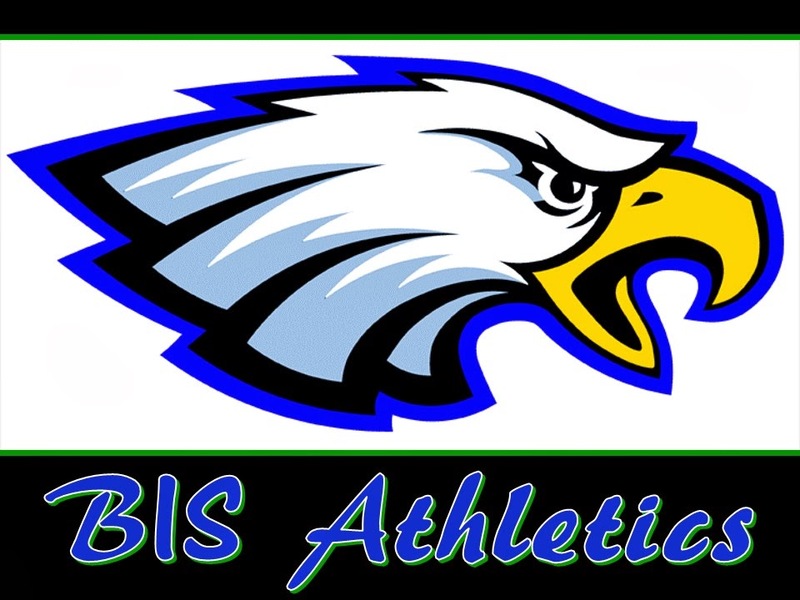 Just go to www.biseagles.com and click on Athletics. You can follow via email or Facebook. Get all the latest news and updates about future games and events. To the BIS Admin team for their amazing support of our Athletics program! To all the students for their hard work during practices and competitions! To all parents for their support, help, encouragement and involvement in all the different events we've participated so far this year! Basketball on Wednesday and Friday!!! 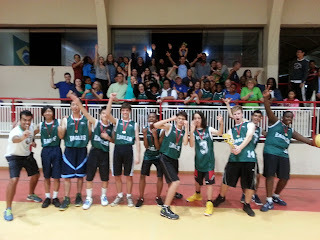 12/3, HS boys basketball semi-finals of the Brasilia Sports League (BIS vs.EDN). End of basketball season after these two games. HS Boys Basketball, BIS vs EDN, Wednesday December 3rd. 3:15pm to 4:30pm after school practice at BIS. 7:15pm go home (please have transportation ready at this time). HS Boys Basketball, Friday December 5th. If we lose the game on Wednesday we'll play for Third place (Friday at 6:00pm). If we qualify to the Finals the plan is as follows. 8:40pm go home OR go to McDonalds to celebrate a great basketball season. Regardless of the final score we will go out to celebrate afterwards. Please join us! 9:30pm be picked up from McDonalds and go home. Plan to stay after school for practice and to arrive on time for the games. Plan your transportation ahead of time. See details above to be picked up on time.